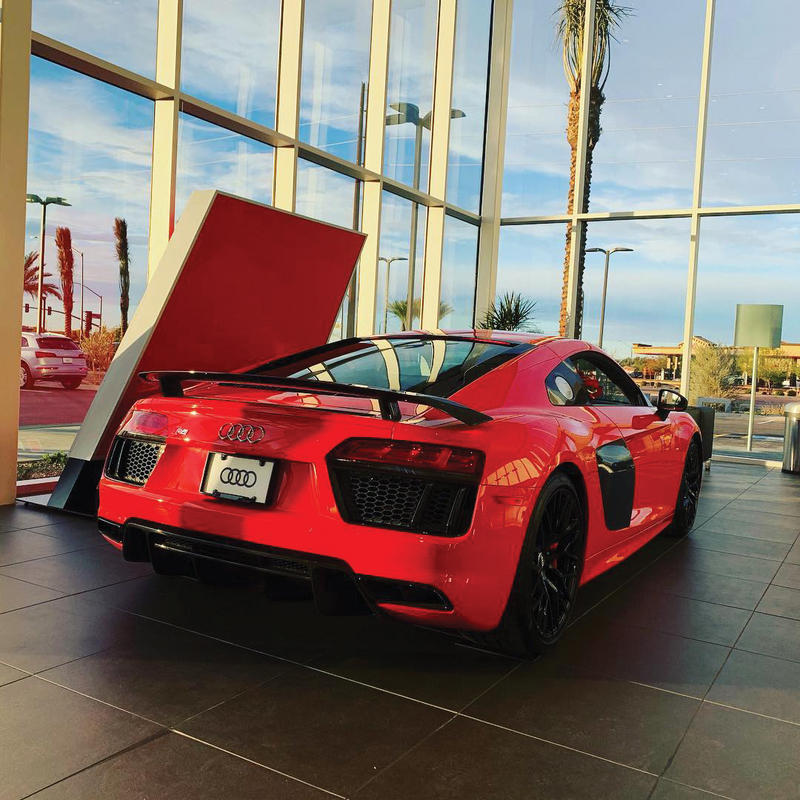 Audi Gilbert opened December 15, 2018, at 3235 South Gilbert Road in the Rivulon office park, just north of the Santan 202 Freeway in Gilbert. “Selecting Gilbert and the Rivulon development for our new Audi dealership was absolutely the right decision, considering the tremendous economic, population, infrastructure and business expansion taking place within Gilbert and surrounding communities,” says Richard Cvijanovich, a Chandler resident and multi-dealership owner. On five acres, the two-story 42,000-square-foot complex includes a nine-vehicle showroom, two indoor vehicle-delivery bays, a dedicated Audi Sport fitment center, a fully air-conditioned 20-bay Service & Detail Department and a multi-level Audi Parts and Accessories warehouse. The German-based automaker delivered approximately 1.878 million vehicles globally in 2017, and Herndon, Virginia-based Audi of America Inc. and its U.S. dealers sold nearly 227,000 vehicles in 2017 –– breaking company sales records for the eighth straight year. 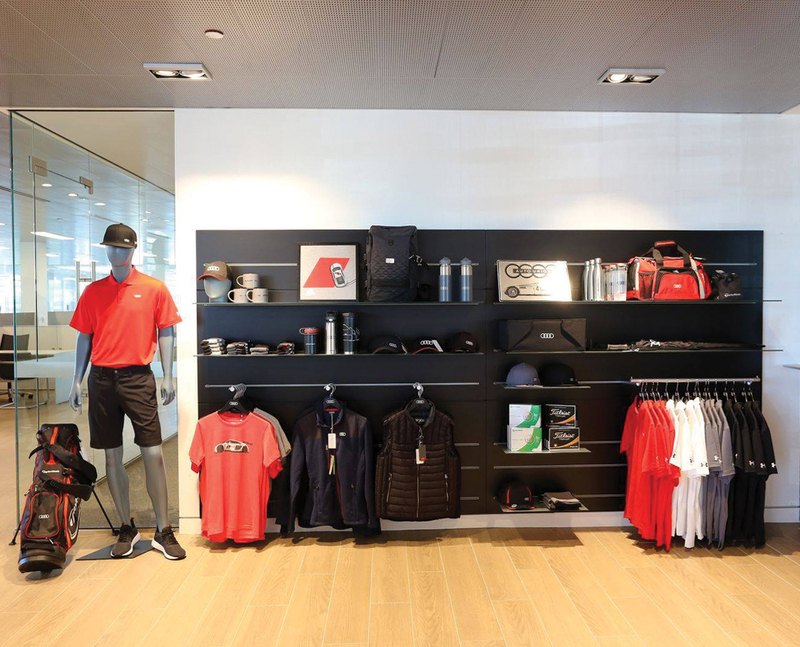 At the sleek open-space-designed Audi Gilbert, the company’s most recent state-of-the-art facility in the United States, customers can see the automaker’s full luxury line-up, including the 2019 Audi Q8, the newest Audi SUV. 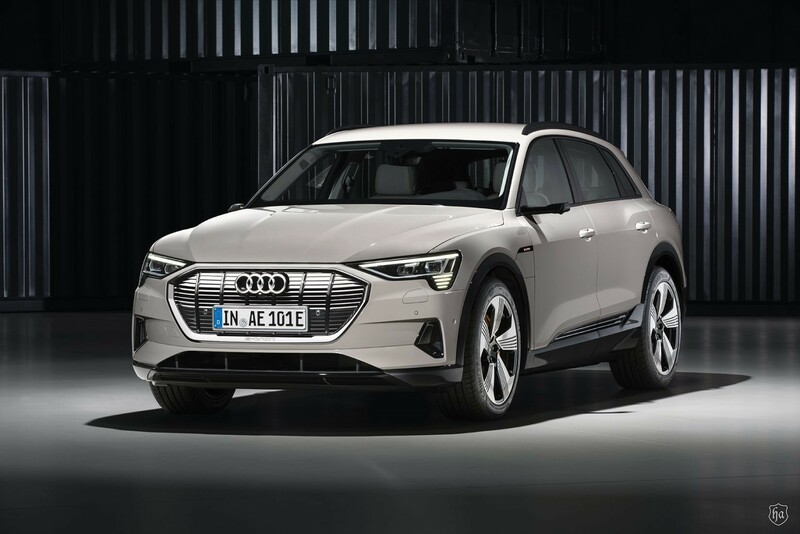 And coming very soon is the Audi e-tron all-electric vehicle. Revealed in concept form in January 2017 at the North American International Auto Show (NAIAS) in Detroit, the Audi Q8 is a five-door luxury crossover SUV with a front-mounted engine and Audi’s signature Quattro all-wheel drive system; it’s available in three trim levels (Premium, Premium Plus and Prestige). The standard powerplant across all trims is a 3.0-liter, turbocharged/TFSI, 24-valve DOHC V-6, connected to an eight-speed Tiptronic automatic transmission. The dealership also has more than 350-plus Certified and Pre-Owned vehicles available for purchase, collectively assembled from the Cvijanovich-family dealerships: Porsche Chandler, Volvo Cars Gilbert, Subaru Superstore of Chandler and Subaru Superstore of Surprise. “From the expectation we hold in our teammates to Audi complimentary loaners and the exquisite facility, the focus is always on the client, whether that’s in the showroom while they consider their vehicle purchase, in our boutique or interacting with Service and Parts,” he adds. Throughout, their comfort and convenience is essential. Inside the dealership are state-of-the amenities, such as first- and second-floor client lounges, technology bar, children’s play area as well as expansive lifestyle and apparel boutiques. 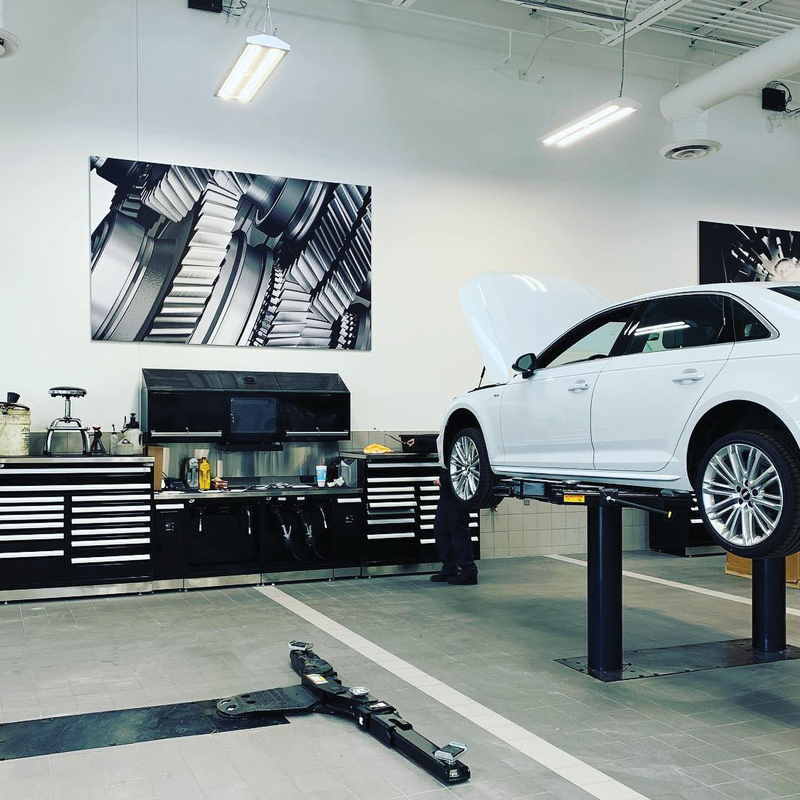 The Service Manager and Consultants all have at least 15 years of dedicated Audi experience, and the technicians are Audi certified, with more than a half century of collective experience, Cvijanovich explains. Jay Brown, the Service Manager, for example, has 20-plus years of Audi experience and Al Rizzo, Senior Service Consultant, more than 15 years. Both have achieved numerous Audi client service awards. For more information on Audi Gilbert, see AudiGilbert.com and call 480.899.8000. Follow the new dealership on twitter.com/AudiGilbert; facebook.com/AudiGilbert; and instagram.com/AudiGilbertAZ.